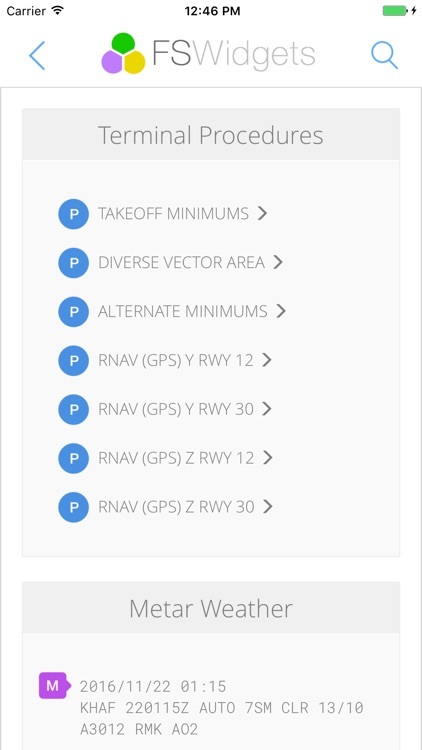 Airports for iOS (iPhone or iPad) is a handy companion app designed exclusively for flight simulation enthusiasts. 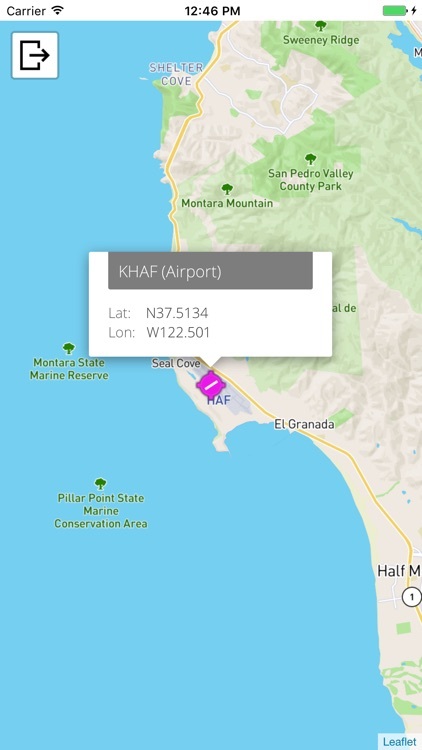 For users of FSX, FS2004 or X-Plane (indeed any sim) it provides a quick and easy way to search for world-wide airport, navaid or weather information, and view terminal procedure charts (for the US). 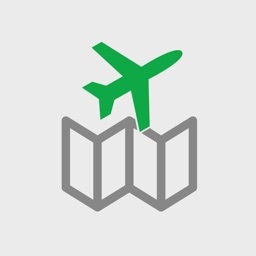 The world aviation information database is massive! Downloading and managing it all can be prohibitive, not to mention pointless if you don't use it all. Airports solves this by delivering the data as requested, from the Cloud. Think big data without the big downloads. Some airport information services can display data in a way that is overwhelmingly complex and hard to follow. Airports presents the more useful bits of information that flight simulation users rely on in an attractive, easy to read format. Meteorological conditions are an important consideration for any flight and many flight sim pilots use real-world weather in their simulator. Airports will display the latest METAR (report) or TAF (forecast) if the airfield has those services. 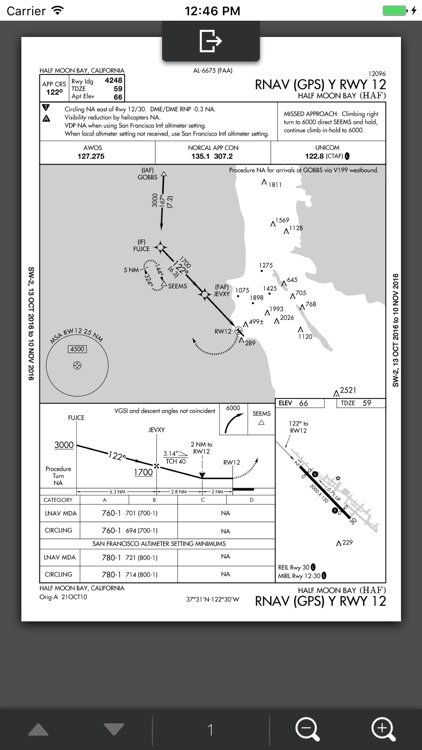 The Airports app includes access to the full set of US TPP charts (Terminal Procedures and Airports). 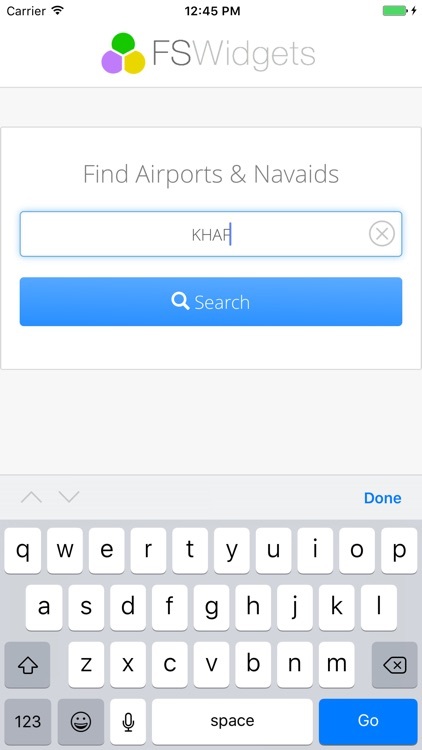 When viewing the information of any US airport, the app will present a list of any applicable SID, STAR, approach and airport diagram charts. The listed items can then be selected to view the PDF right within the app. This feature alone makes Airports a must-have for any sim pilot who flies in the US scenery area. IMPORTANT: Not for Real Flight Operations - Flight Simulation Use Only! 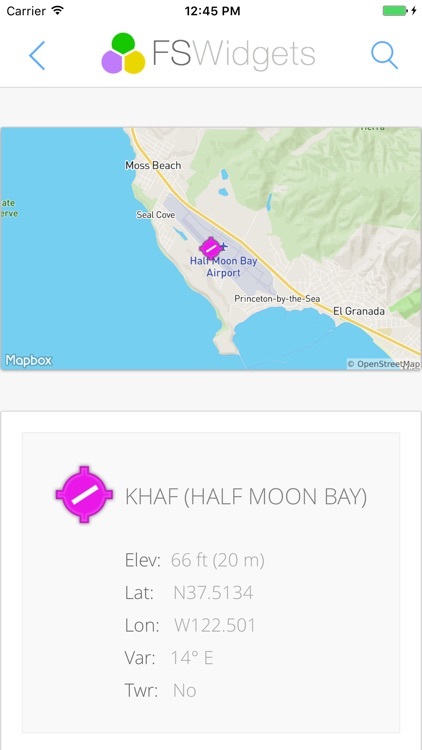 While the aviation information displayed within this app is sourced from real-world aviation data, please keep in mind it is not designed for real aviation usage. As a condition of use you must accept that it can be employed for flight simulation purposes only. 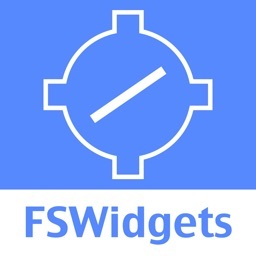 FSWidgets is a software development team based in Australia, specializing in add-ons for Microsoft Flight Simulator (Windows) and Laminar Research X-Plane. 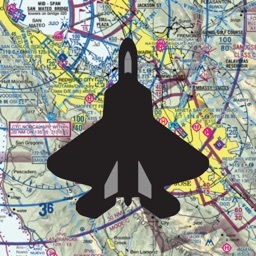 Both of its founding members have extensive experience in creating award-winning add-ons for Flight Simulator and have been active in the flight simulation community for well over a decade.